It is amazing how fast ten weeks can go by. I remember sitting in the library at Cardamom County writing about my first day of birding here; I remember how excited I was to see barbets, minivets, and leafbirds from the parking lot. Now, ten weeks later with about a dozen activities completed and many birding expeditions into the Periyar Tiger Reserve under my belt, I’m suddenly looking back on fond memories. My first excursion into Periyar was a Bamboo Rafting trip along Periyar Lake. To be honest, I was a little overwhelmed in this strange new place with its checklist of over 300 unfamiliar birds. As is always the case with Periyar, the excursion was a blast, and that trend continued with the Border Hike, the Nature Walk, the Tiger Trail, the Green Walk, and indeed with every trip into the Reserve. It is hard to put into words my gratitude to La Paz Group, who brought me here. They made possible this wonderful summer and all the amazing things that happened. My time here has been filled with magical moments that I cannot wait to share with my friends back at Cornell this fall. 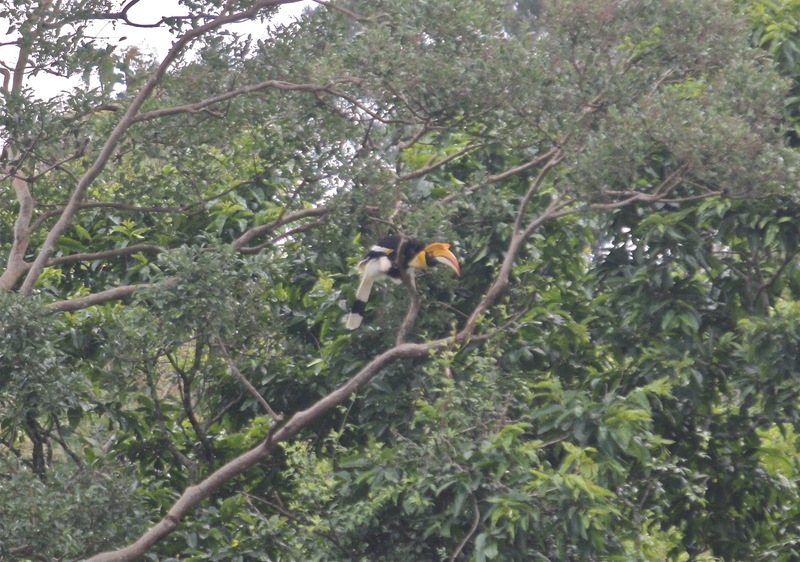 I saw my 1000th world bird, I interacted with both tame and wild elephants, and I had a shirt stolen by a monkey. I made amazing friends, both with the incredible staff of Cardamom County and with the other interns. I leave India with a trip list of 188 bird species, many of them spectacular and all of them beautiful. Cardamom County now feels like home, and it will be hard to leave on Saturday. Periyar itself has been full of surprises, and I will depart with a great respect for this wonderful jungle. Indeed, my last trek in the Reserve left me with a memory that trumps all the others. When I leave India, my Asian journey continues in Sri Lanka for one more week of nonstop birding. It should be exhausting and exhilarating! I look forward to posting photos of Sri Lanka specialties in the upcoming weeks. For now, this is Ben Barkley signing off from Cardamom County! On behalf of Raxa Collective…You are so very welcome Ben. And more importantly, Thank You for your contributions!